Blizzard knows exactly what they’re doing by making Soldier 76 the tutorial character. Much like Striker from Final Combat, he’s unashamedly added to appeal to fans of traditional military shooters, what with his gun being a hybrid assault rifle/rocket launcher and his unique mobility trick being the bog-standard sprint. But personally I’m completely okay with that because he was the first non-Mercy class I played simply because I understood him within seconds of controlling the character. He’s probably the best starter character possible for new players of any FPS skill level, and once you get the hang of him you’ll find that he’s got a few tricks up his sleeve even then. I was pleasantly surprised when I discovered his healing grenade. He basically drops it at his feet and it radiates an aura where nearby teammates can stand and get healed. It’s saved my life on occasion, and it regenerates quickly enough that I often throw it down just for my teammate’s sake if we’re in a dangerous area. At 200hp he’s a relatively tanky hero who can keep himself alive, especially with sprint, so the heal grenade is a very easy-to-use source of regeneration. I wonder if it’s supposed to call to mind the cover-based health regeneration of games like Medal of Honor because that was a popular strategy for me to make the most use of it. His ult isn’t bad either. It refills his clip and gives him aimhack for five seconds, meaning he can lay down some serious fire for about ten seconds. If one reloads during the assault, the reload animation is also much quicker than usual. All in all it’s not quite as impressive as some other heroes’ ults, and you shouldn’t change your playstyle at all to use it, but that sounds about right for this character. 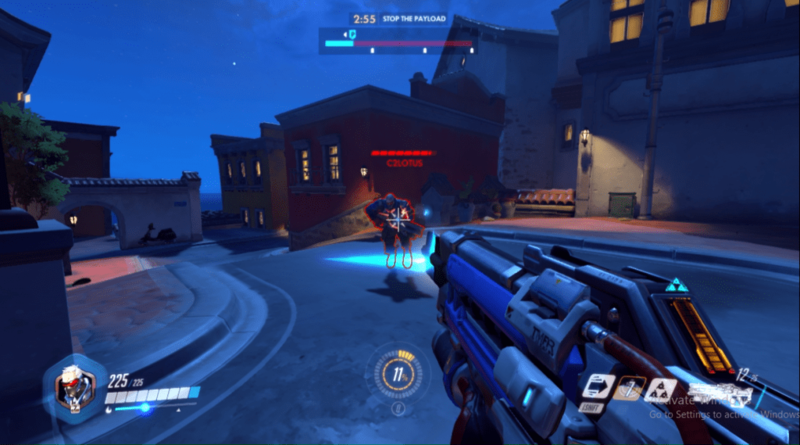 I don’t think anyone can main Soldier 76 for long. I certainly didn’t; I discovered Junkrat and fell in love with his sundry grenades. But on occasion, I find myself coming back to Soldier 76 when the team needs a frontline fighter who can take care of himself. You can definitely do worse.